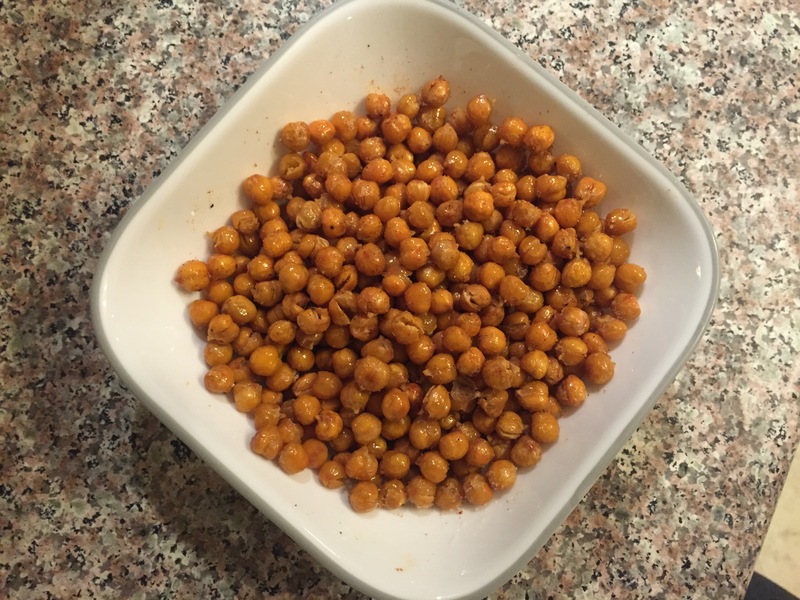 Oven-Roasted Chickpeas: A Crunchy… Salty.. HEALTHY snack! If you’re like me, and LOVE salty, crunchy delicious snacks, then this is the snack for you. Often times I have difficulty finding the right snack that doesn’t overload your body with salt, fat, grease, or carbohydrates. 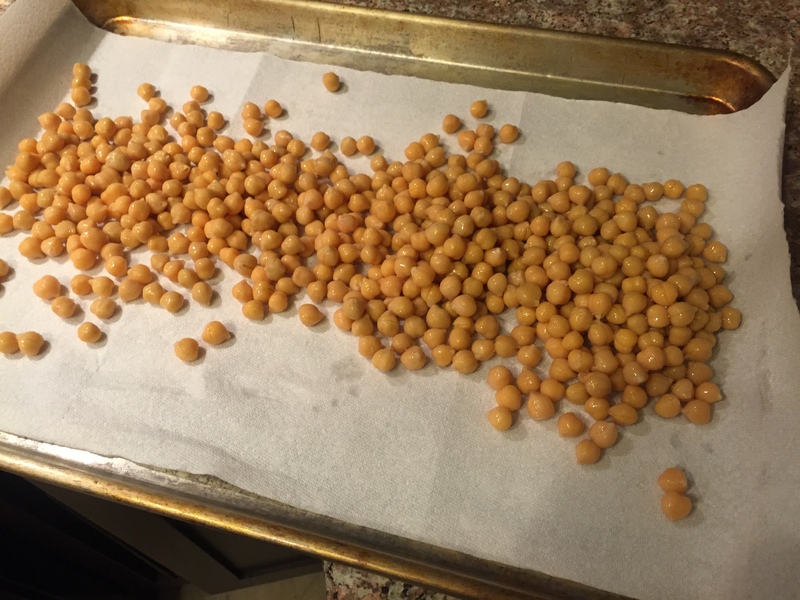 This recipe is for Oven Roasted Chickpeas. It is easy, and addicting once you make it! 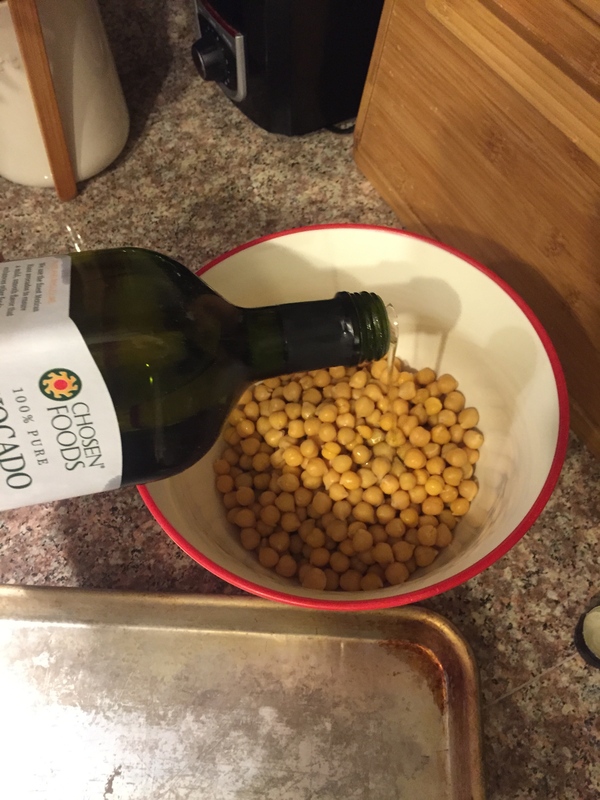 -2 Cans of Garbanzo Beans. I usually use the Whole Foods 365 Organic, no salt added ones. -Any additional seasonings you love such as seasoned salt, ground herbs, cajun seasoning, cayenne pepper etc. 2. 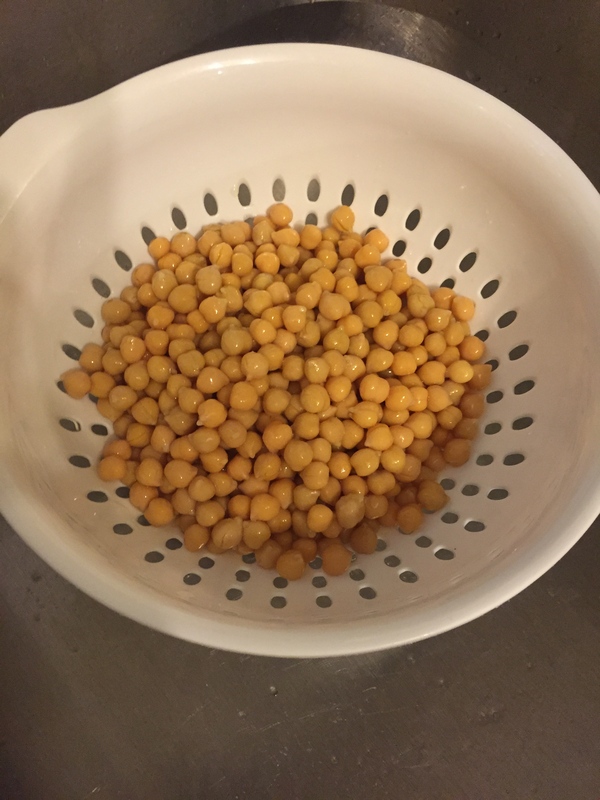 Open your cans of beans and put directly into strainer. 3. Rinse those bad boys thoroughly with some warm water. 4. 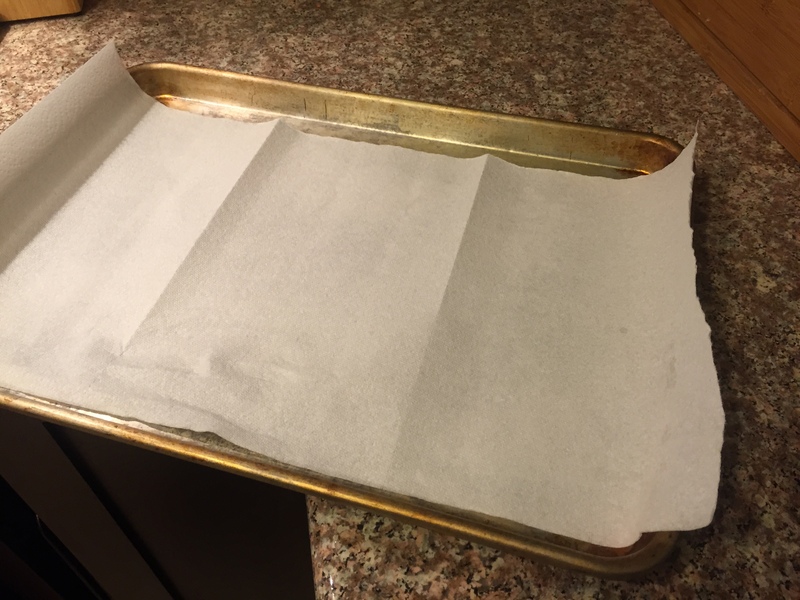 Line the cookie sheet with paper towels. 5. 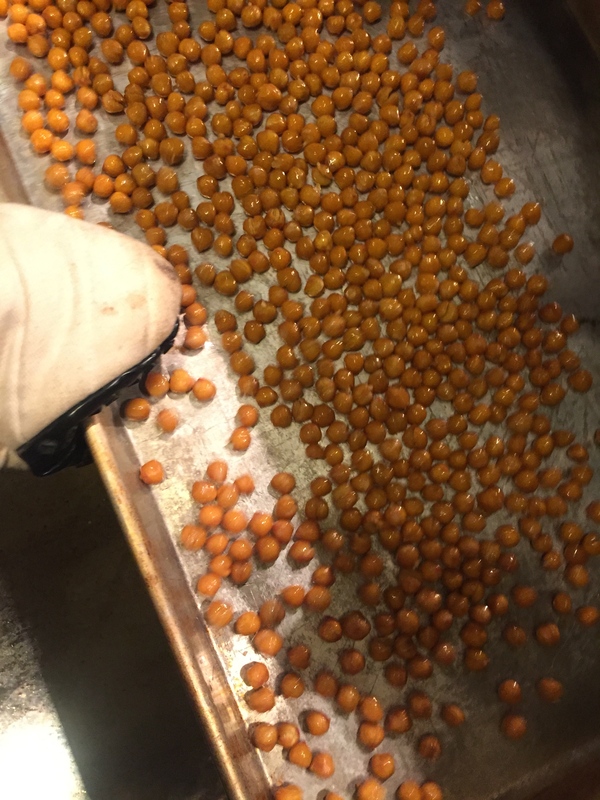 Empty beans from strainer to the lined cookie sheet. 6. Take a paper towel or two and cover the beans. Gently press and roll your hand over the beans making sure to press lightly. 7. You’ll then see the skin of the beans come off which is what we want! 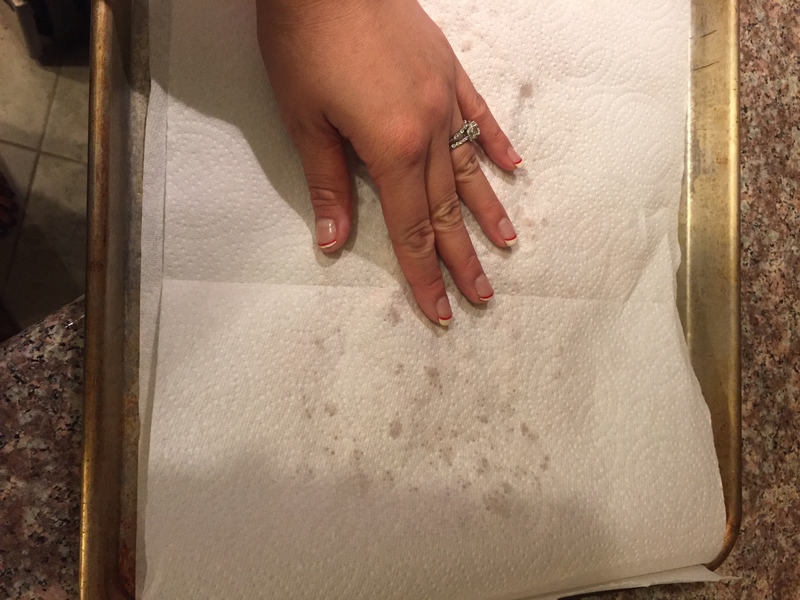 Keep rolling the papertowel over the beans so that more of the skins come loose. Remove any skins that come off. 8. 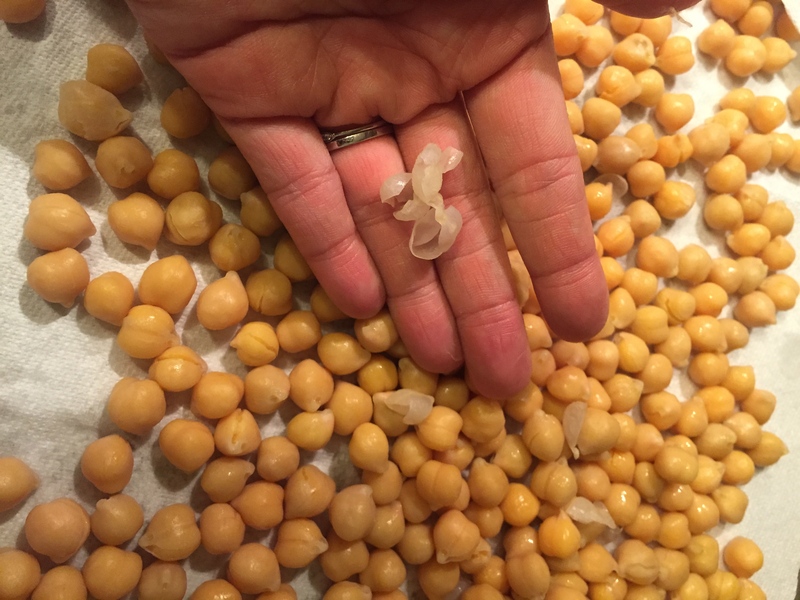 Take those beans and transfer them into a bowl. Discard the paper towels. 9. 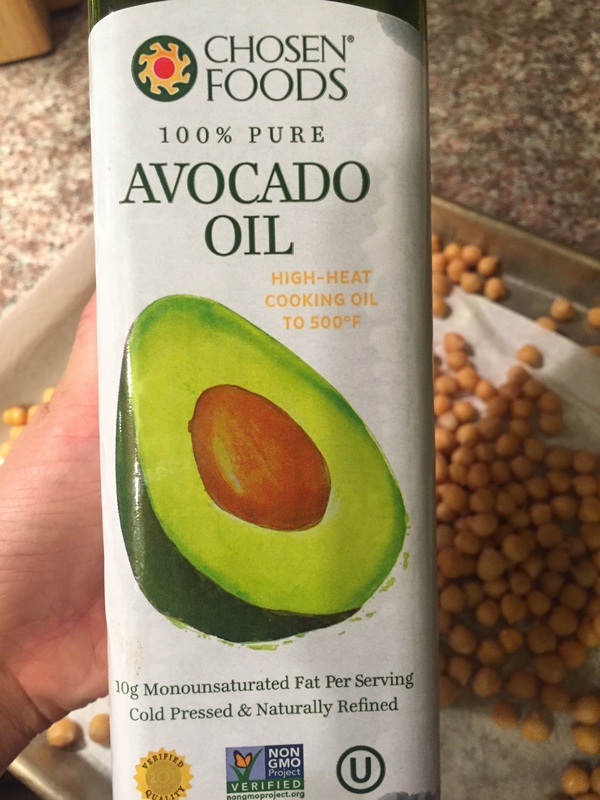 Add the oil of your choice to the beans and stir gently with the spoon. 10. Place back onto cookie sheet. Make sure that they are spread out across the cookie sheet. 11. 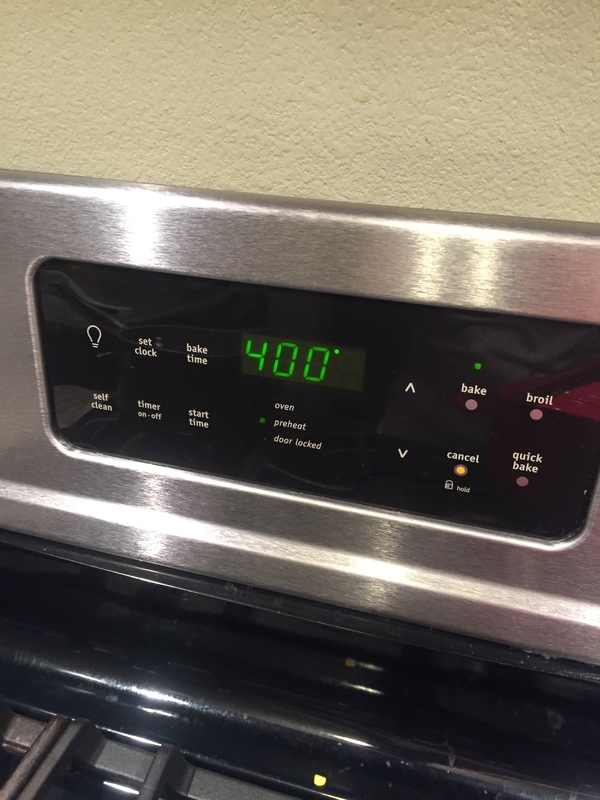 Bake for 40 minutes or until desired crunchiness. We like ours crunchy so we usually put it in for about 40-45 minutes. 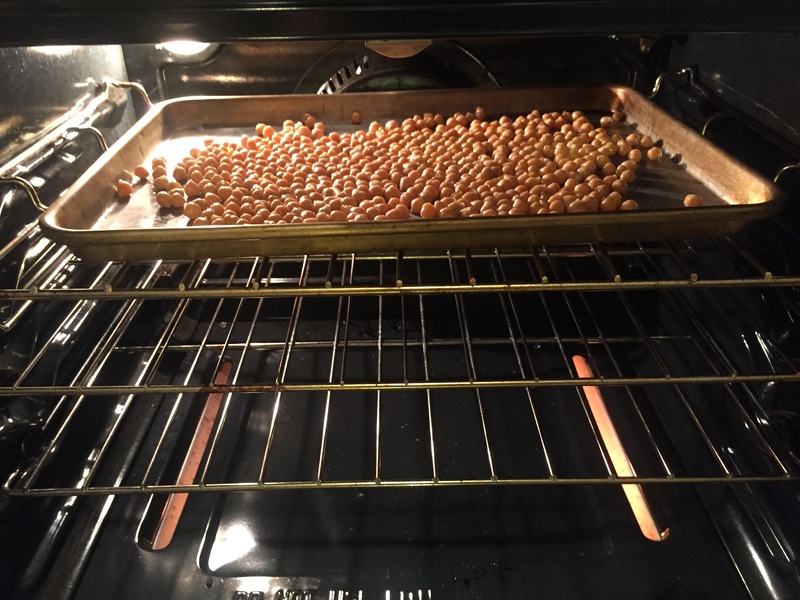 Once while the beans are baking, take the cookie sheet and shake it slightly to make sure they aren’t sticking to the sheet. 12. 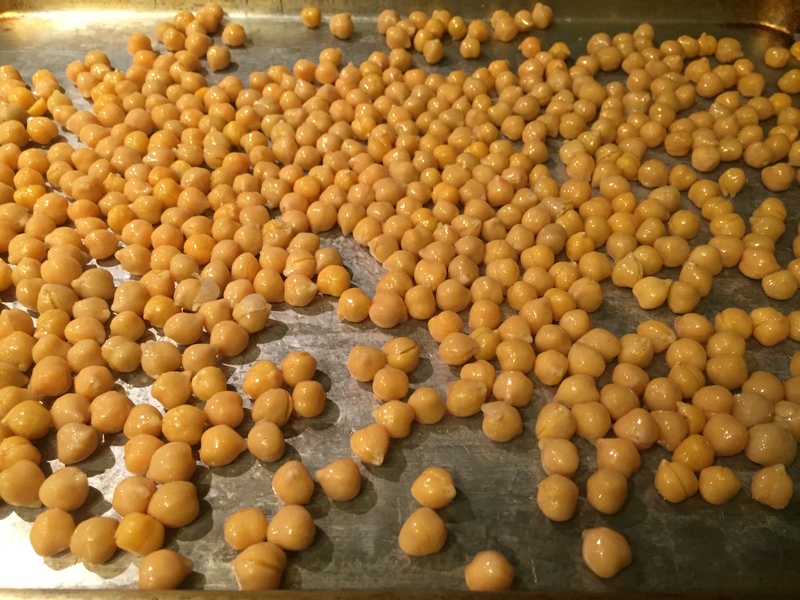 Once they are crispy to your liking, remove the beans and put them into a bowl. Add sea salt or any other seasonings. Let them sit for about 5-8 minutes if you can and enjoy! 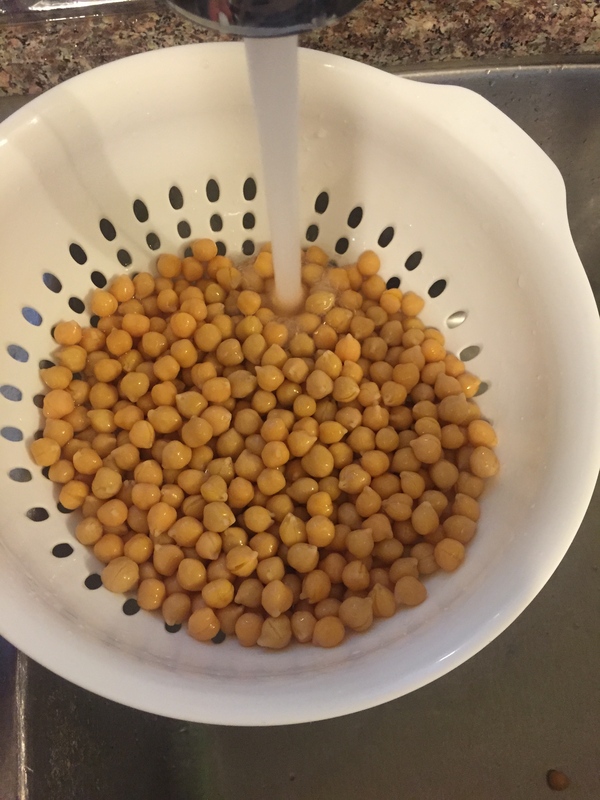 Categories: Favorites, Happy Hour Bites, Snacks | Tags: beans, chickpeas, garbanzo beans, healthy, oven roasted, snack | Permalink. 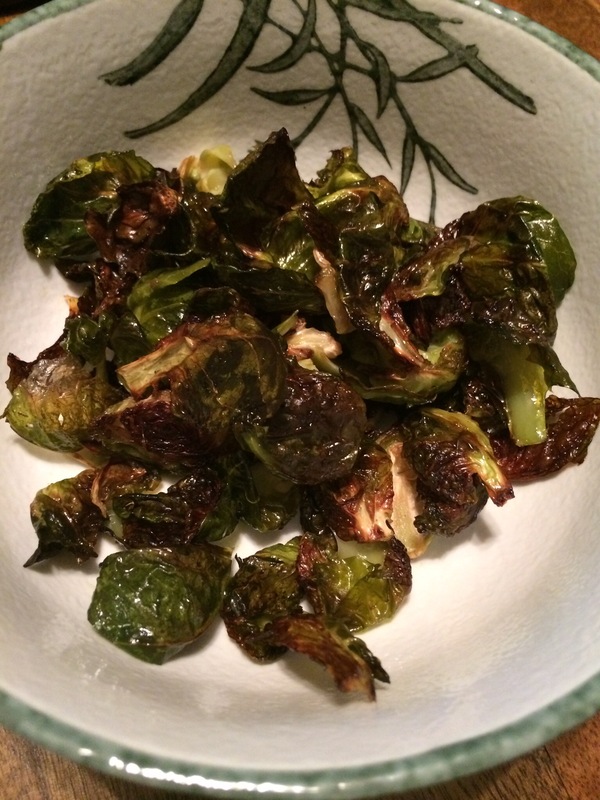 Categories: Happy Hour Bites, Snacks | Tags: brussell sprouts, snack, vegetables | Permalink. Sometimes, life just doesn’t warrant preparing meals. Many times, I will go into a grocery store thinking with my stomach and then paying for it afterwards! I’ve personally come to the conclusion that it is just not worth it. Add all ingredients together (except for cucumber) in a bowl and mix until the right consistency. If you want more moisture, add a teaspoon of chicken broth. If you’re a mayo person, add more to your liking. Apply a spoonful of the chicken curry mixture into a slice of cucumber! Keeps in the fridge for 2-3 days and it is one of those recipes that is even better the day after! Categories: Happy Hour Bites, Lunch | Tags: chicken, cucumber, curry, delicious, easy, lunch, refreshing, simple, snack | Permalink. Perfect French Fries? That’s quite a statement. Categories: Happy Hour Bites, Sharing is Caring | Tags: french fries, snacks, yum | Permalink. 4. A few capers to top it off. 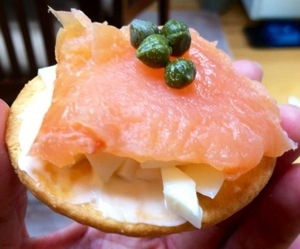 Categories: Happy Hour Bites | Tags: happy hour, simple, smoked salmon | Permalink. 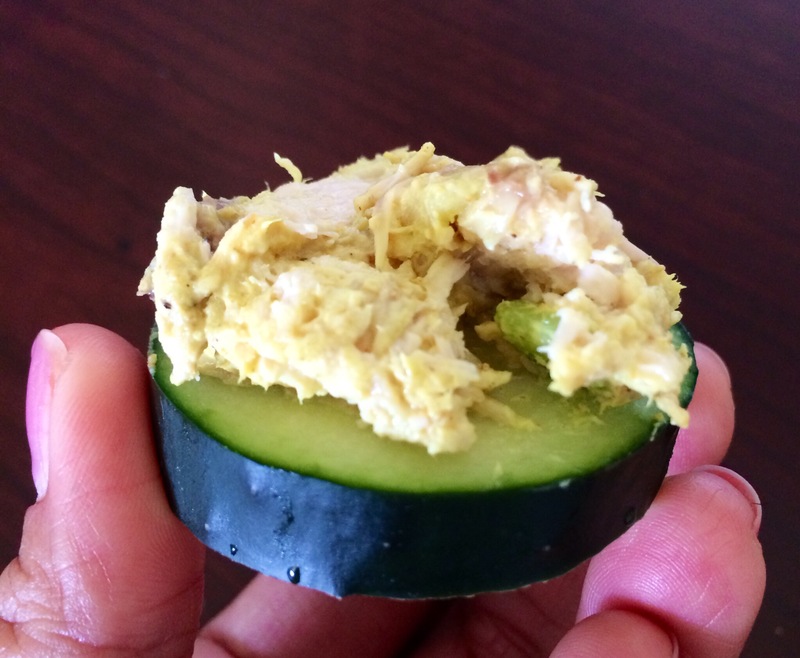 Cucumber cups – fill with healthy chicken, egg, or tuna salad hummus, cottage cheese (low-fat), etc. Click here for full directions! Follow us for daily healthy recipes! Love this! I will be trying this. Categories: Beginning Blog Posts!, Happy Hour Bites, Lunch, Sharing is Caring | Tags: cucumber, cucumber cups, low carb, snack | Permalink.